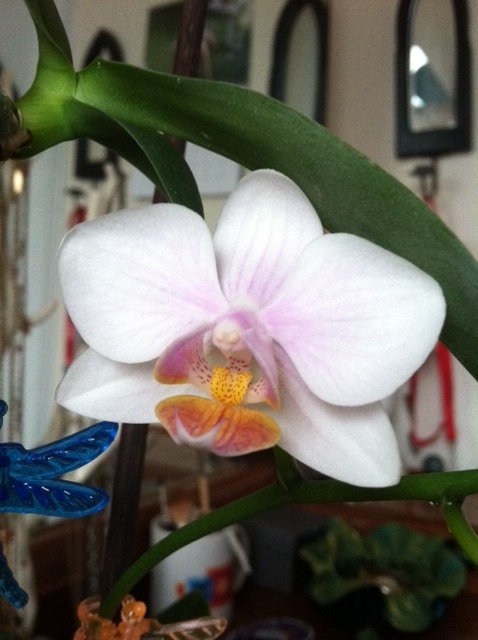 Just a bit more than two weeks into 2012 and I have the first new bloom of the year! It’s a pretty little Phal that I bought at Trader Joe’s, probably about a year ago. My first bloom of 2012! This is one of the orchids that I’ve been experimenting on with Keiki Grow Paste. I’ve already separated a baby orchid from this plant and potted it on its own…and the baby is also in spike! Can’t wait to see the blooms on that little one. But for now, I will enjoy the blooms that are opening up on this pretty white and peachy-pink Phal. Keiki Removal and Potting Day! 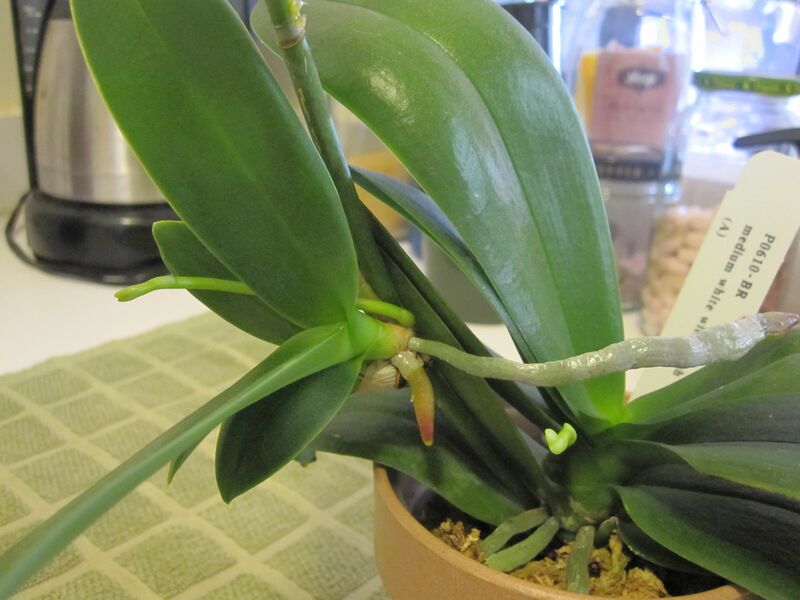 I last posted an update on my Phalaenopsis orchid keiki grow experiment on September 1—almost three months ago! Since then many of the keikis have been growing quite nicely, developing roots (and, surprisingly, even a couple of spikes!) and today I decided it was high time to remove some of them and pot them on their own. The first keiki had sprouted two good roots about three inches in lengths, along with a couple other new roots and a spike! I figured the spike was a sign that this guy was definitely ready for its own pot. The mother plant has her own spike as well.